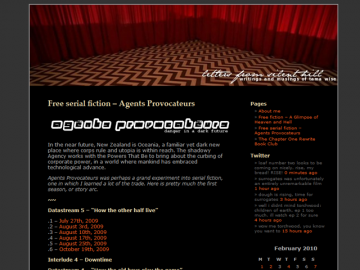 "Danger in a dark near-future"
Agents Provocateurs is a free serial fiction series, updating Mondays. Agents Provocateurs has not been tagged yet. Help others find Agents Provocateurs by tagging it! Agents Provocateurs has not been reviewed yet. Agents Provocateurs has not been recommended yet.